The Outerbike Festival returns to Crested Butte this August. Miles of flowing singletrack, endless fields of wildflowers and crisp summer skies in the high Rockies—just add mountain bikes, and you’ve got all the ingredients for an epic Colorado bike festival. Returning for its second year from Aug. 17-19, the Crested Butte Outerbike Festival will bring demo bikes from nearly every major bike company to ride on lift-served and cross-country trails followed by after parties and a beer tent to rehydrate after all that riding. Outerbike holds several other festivals throughout the year, including two events in Moab and a new location in Bentonville, Arkansas. 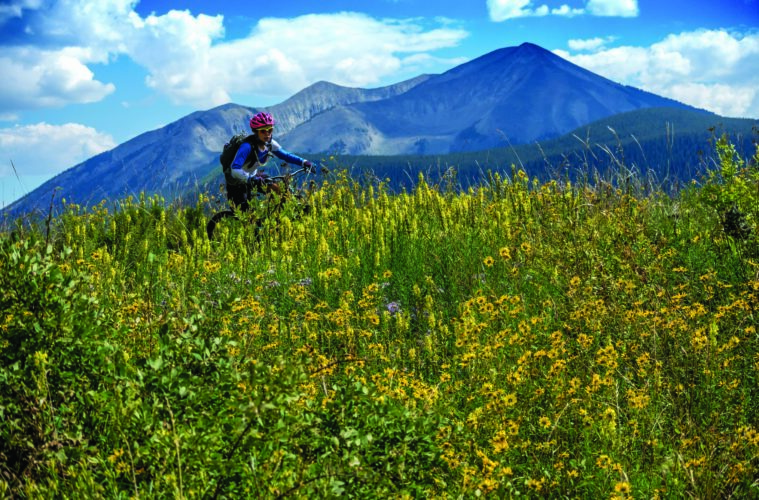 Still, the Crested Butte edition is uniquely Colorado, enveloping all of the town’s bike-friendliness, high-alpine riding and laid-back vibe. The inaugural 2017 event featured more than 1,200 bikes, with the 2018 event promising an even bigger selection and more shuttle options for riders who want to sample the area’s famous trails. The full demo ticket includes three days of unlimited bike demos, shuttles and lift tickets to Crested Butte Mountain’s Evolution Bike Park. Outerbike is perfect for anyone looking for a fun biking weekend, or for riders shopping for that new whip. Find out more and buy tickets at outerbike.com.